ShopRite captured the Food Marketing Institute’s (FMI) Gold Plate Award for its promotional campaign celebrating National Family Meals Month™. The award was presented during the trade organization’s annual FMI Midwinter Executive Conference held January 27th in Miami. ShopRite is named to Newsweek’s 2019 "America's Best Customer Service” list, which recognizes companies for building key relationships with customers and providing top-notch shopping experiences. ShopRite hosted a ribbon-cutting at its newest store, the ShopRite of Wyckoff, on Sunday, January 13. The state-of-the-art supermarket is located at 430 Greenwood Avenue in Wyckoff, NJ, and features a wide selection of groceries including both store and national brands, fresh produce and a variety of locally sourced, organic and gluten-free foods. State-of-the-art ShopRite opens in Shrewsbury, NJ. The Saker family, owner and operators of the store, cut the ribbon on their World Class ShopRite with community leaders including Shrewsbury Mayor Don Burden. The newest ShopRite opens at 1510 Old Country Road in Riverhead, NY, where favorite ShopRite departments include a from-scratch bake shop; meat department with trained butchers; a full-service seafood department with daily, fresh-catch deliveries; full-service deli and prepared foods department with grab-and-go items and freshly prepared hot entrees. ShopRite of Medford associates, left to right: Janet Lentz, Marty Nowicki, and Theresa Arroyo hold their special-edition Cheerios box. All three got their pictures on the iconic cereal box after raising money as part of the ShopRite Partners In Caring Cheerios contest, an annual tradition marking its 20th year. All 101 ShopRite associates pictured on the special cereal box helped raise more than $1.5 million for local hunger-fighting organizations. 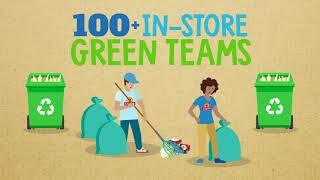 ShopRite of Medford in Medford, NJ was the top-fundraising store. ShopRite announced today that it has won the 2018 Food Marketing Institute’s (FMI) Gold Plate Award for its promotional campaign celebrating National Family Meals Month™. The award was presented during the trade organization’s annual FMI Midwinter Executive Conference held January 27th in Miami. ShopRite was among the top three supermarkets singled out by Newsweek for receiving high marks from customers in a recent survey of regional and national retailers. As they celebrated the grand opening of their ShopRite of Wyckoff, the Inserra family and store associates presented a $10,000 check from Inserra Supermarkets, Inc. & ShopRite Partners in Caring to the Community FoodBank of New Jersey. The new ShopRite of Wyckoff features a wide selection of groceries including both store and national brands, fresh produce and a variety of locally sourced, organic and gluten-free foods. Customers looking to create healthier holiday meals can get free assistance and advice courtesy of ShopRite’s in-store dietitian team, who are offering classes and events highlighting better-for-you holiday recipe suggestions in December. 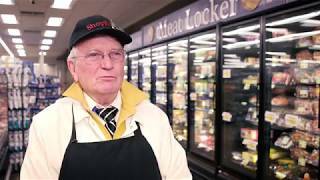 Bernard Smith, 83, who works at the ShopRite of Pearl River in Pearl River, NY, talks about the pride expert ShopRite butchers take in their work. ShopRite's Potluck food blog is a community of writers from just about everywhere you'll find a ShopRite store.